A little history lesson, humans evolved to run barefoot which is why it’s mechanically vital to wear very little on your feet to allow for full-natural motions and functionality of the feet. Our feet become untrained and functionally weak when crammed in the traditional running shoe. The VFF Jaya is another excellent minimalist-barefoot shoe for the summer and for cooler weather and is grippy for rough surfaces. 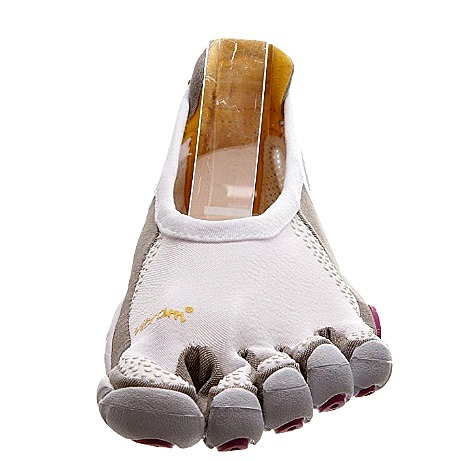 The Vibram FiveFingers Jaya is great for not only running, but water sports as well and of course for walking endlessly. I find it a very convenient running shoe because the Jaya is strapless, so there’s nothing pressing on the top of your foot, which will also promote better blood flow through the foot. The Vibram Jaya has less cushioning than most of the Vibram shoes, so it allows for a more barefoot-like experience that helps you best avoid heel strike when you run. Always remember, less protection on your feet is the best protection against mechanical errors when you run! Why run in barefoot-feeling running shoes, such as the Jaya? Unfortunately, cushioned running shoes with a padded high heel makes it tricky to land forefooted during running. And, it’s no secret that cushioned running shoes are the number one abuser to your feet. Vibram FiveFingers is the single greatest weapon that quickly improves foot strength and fully restores proper foot function. A great example of foot-friendly shoes is the Jaya, which is very comfortable and durable, giving lots of traction, great for the water, and is the perfect lightweight, minimalist running shoe that’s a gift for your feet by design as they fit like a glove and are targeted to feel barefoot. The Jaya has a warm leather upper, making the shoe a great fit for winter running –if you wear toe socks with them that is. Another aspect I love about these shoes is that they are strapless and lace-less; the shoe just slides on and off with no fuss. 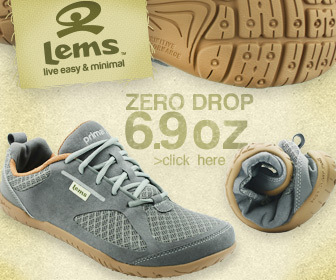 The grippy outsole does a great job at clutching the icy ground as well. The Jaya is also one of the lightest footwear by Vibram and are super flexible, allowing optimal range of motion for your toes. If you have sore feet, these shoes introduce your feet to a barefoot-like environment that provoke foot strength, better knee function, and eliminates hip and back discomfort as well. The Vibram FiveFingers is the leading competitor in the barefoot running shoe industry that say bye-bye to lower leg ailments. 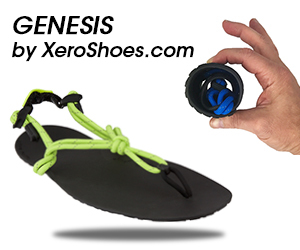 These shoes are a high quality product that are life-changing for myself and others who have spoken about them. 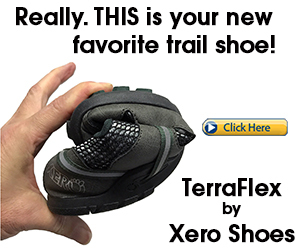 To learn more about the toe shoes, here are more informative reports on the Vibram FiveFingers. And, check here for more information on the importance of engaging in barefoot activities and how cushioned running shoes makes it difficult to acquire strong feet and good mechanics. 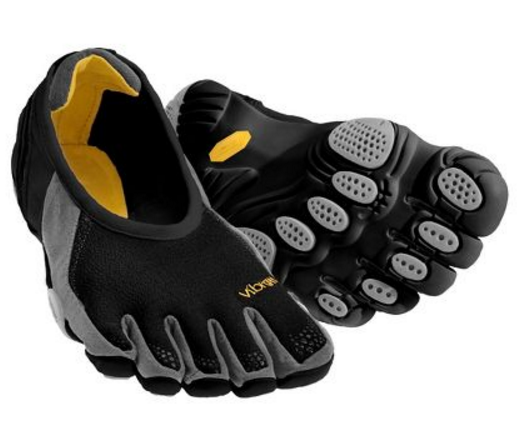 Best Places to Get Vibram FiveFingers – The VFFs are over-priced in regular, local athletic stores. Buying them online is always a better option for better deals, especially free shipping. Barefoot Running – When it comes to form improvements, running in barefoot shoes is great, but it still does not compare to running barefoot. Speedwork – To get faster, you need to run faster….without shoes. Arm Swing – Should you listen to your coach when he tells you to pump your arms back and forth?